I want to start by saying that I am a Trekie. I loved watching the original Star Trek on television with Leonard Nimoy (RIP) and William Shatner. And no, I didn’t get into the Next Generation or Voyager because I liked the original so much better. 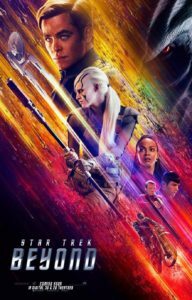 As much as I wanted to see it, I admit I was a bit hesitant to see Star Trek Beyond. There would be a new director, the script was being written by one of the actors (Simon Pegg “aka Scotty”), and they were going to be introducing something like 50 new alien species. That was A LOT of change for this traditionalist. Of course my curiosity got the better of me and my husband and I went to see it. I gotta tell you, IT WAS AWESOME!! 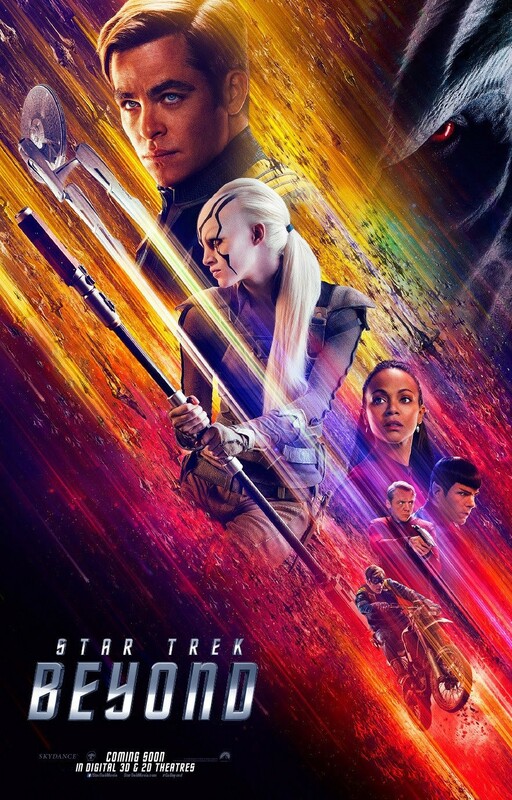 You can totally see this movie if you’re a Trekie or not. There’s one line, among the many, that really stood out for me. How often have I stopped myself from walking up to a stranger and making an introduction? Stranger = I Don’t know you, you are unknown to me. How many times have I stopped myself because of some factor that I don’t know? How many times have I avoided taking action because of a fear coming up for me? How often have I allowed the fear of the unknown to hold me back? How much longer am I going to allow this UNKNOWN to run my life? What if, what if, I could instead look at things and simply say ‘this is just temporarily hidden from me. I will figure it out.’ And then I go and take action on it anyways. I put myself out there and jump knowing that something will catch me (I may not know what, but something will). So here are a couple questions for you: How much longer are you going to let the unknown stop you? What step are you going to take today that will lead you towards the unknown instead? If you’re up for it, answer the questions above for yourself, see what comes up for you. Comment below or in our Facebook group. I’d love to hear your answers. Many times. I used to be a wallflower so I would go to events and not talk to anyone. If one tiny thing seemed off I wouldn’t budge. In fact, I’d dig my heels in even further. Too many. Luckily I have the tools to work through this now, but still I’ve done this a lot. No more!! I made this decision 2 years ago, and it’s been amazing. Destiny DeHaven studied English at the University of Hawai`i at Mano`a. She is currently a Communications Coach in Loveland, CO and has coaching certifications in B.A.N.K. and Neuro-Linguistic Programming. Such an excellent article, Destiny! Made so much sense and gives us courage. And I liked that it was short and sweet. Thanks! Thanks Johanna, I’m glad you found the information useful.